Cyprus facts or things you will want to know before you go. There are lots of thing you will probably want to know like Where Is Cyprus? Not everyone knows that this island is in the Eastern Mediterranean Sea. As an example, we have a lot of visitors from China and the Far East, so they like to know geographically how Cyprus is situated, as it is such a long way from their home country. 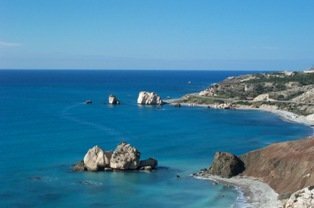 The history of the island is something visitors to Cyprus are extremely interested in. There is so much of it, you are falling over it at every turn. There are so many historical things to see, and there have been so many visitors from different countries and cultures over the years that their presence is felt in the food, music and culture of Cyprus. Map Of Cyprus is the most requested page on this site. You can get a half decent one from the Cyprus Tourist Board and you can find out where your nearest one is, either abroad on the island. We have a lot of international visitors, so if you are coming from outside the European Union, you may need a visa, so you can find out some Cyprus facts about the local Cyprus Embassy for your particular nationality and what the entry requirements are for your visit to Cyprus. Without doubt, the long range forecast for a least 15 days is one of the most requested pieces of information on this website. And You Need To Get Money! The national bank is the Bank Of Cyprus, and you will find them all over the island. There Is So Much More I Want To Know! A lot of questions are answered and if you don't find the answer please do not hesitate to fill in the questionaire box because by asking you may be helping someone else. All questions and answers will be published for the benefit of other readers.